I was informed over the weekend by a reader that O'Malley's Ice Cream Pub on State Street received a letter from the borough requesting the neon sign in their window be removed. 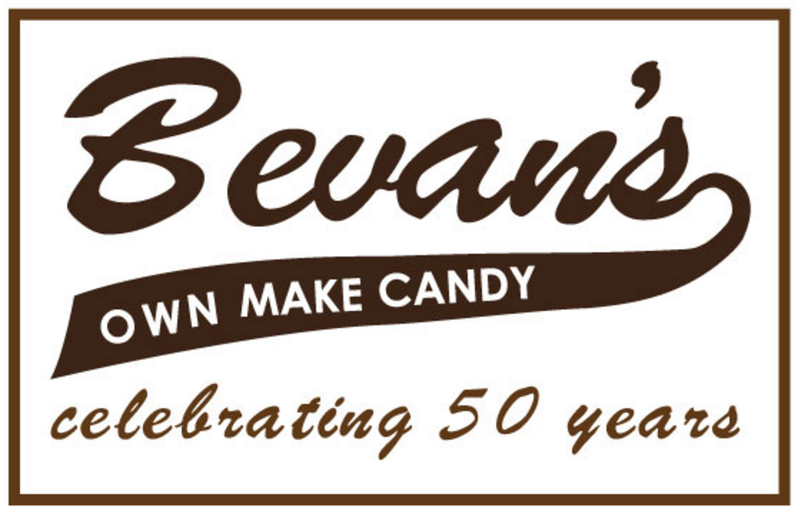 After 31 years this business has had the sign, the borough now cites it causes too much glare and can take away from other businesses and distract drivers. 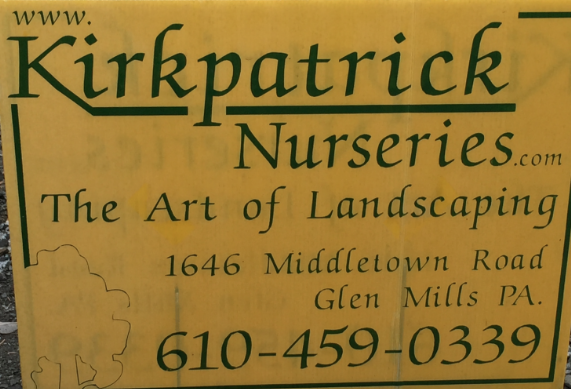 Reason #2 is the real one: another business owner is ticked. 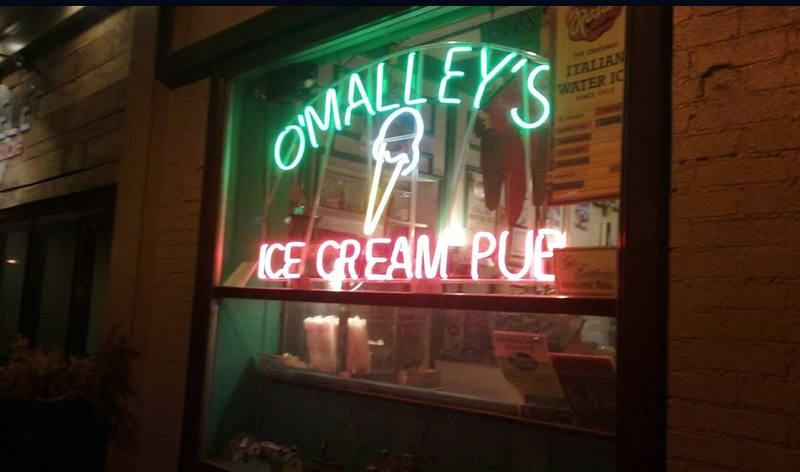 Omalley's should not take down that sign- they had that sign up prior to the laws of "no neon signs" going into effect and therefore they are grandfathered in and are the exception to the rule! I don't see why the sign is a big deal. I agree with other posters, another business must have been cited for something similar. The Borough should focus on the real issue here and fine O'Malley's for always having freezer burnt ice cream! It should be possible to reduce the brightness somehow so all are happy. Wow...That is just sad. I live in Baltimore City, and with the problems that we face down here, this just sounds sooooo silly. Whoever complained about a neon sign on State Street in Media needs to find another America's Hometown to live and complain in. This is weaksauce, Tedman. Is over-gentrification a word? Media might be putting it in Wikipedia. They didn't order it. They requested. My answer would NO. So just like the rest of the weak in this world we have to adjust the street to make the other people happy. When is enough enough? What ever happened to just walking by something , scrolling by a post , turning down a radio station that you don’t agree with . The weak are trying to be strong by taking away things . So stupid. Given the empty store fronts, shouldn't Media leave sleeping dogs lie, especially as they are non offensive? Like what harm is the neon sign doing? Perhaps the aesthetics police arbitrarily decided it wasn't a good look. Well, what's not a good look to me is empty store fronts, or tons of food and drink places filling the landscape - I don't know what is worse. But, it certainly doesn't reflect an upward trend like boutique shops would. In this instance, maybe Media shouldn't alienate a long standing business with its town planning nonsense. Maybe focus on parking and traffic instead. Infrastructure and services to the taxpayers is what matters. "Given the empty store fronts, shouldn't Media leave sleeping dogs lie," Maybe someone should inquire about the ridiculous rents that are charged if they want stores occupied. Pricing the store fronts out of the market doesn't sound like very good business to me and sure doesn't help the town. Keep the sign but get rid of the rest of the place. It's a dingy dump that I am surprised the health department hasn't closed. I used to be a customer there 15 years ago when my kids were young and have since seen it steadily go downhill. I like the sign. It should stay. I like the sign, it should stay. NEON SIGNS ARE WORKS OF ART. OMALLEY`S IS AN ICON ON STATE STREET. Ridiculous request!!! More government over-reach! 1. Grandfathered. 2. Even if neon sign is outside current borough sign 'regulations', precedent on outside said requirements was GRANTED by the borough to West End Flats (more obnoxious if you ask me). 3. Two words: MEDIA THEATER - geez, this blinds me every day. 4. Message to whoever complained: GET A LIFE!